I have long wanted to write about Second-born’s “positive dental experience” (words borrowed from Lifesmile) but I only got to get a decent photo recently – read: without Secondborn’s photo:-). Lifesmiles Dental Care has two uber beautiful dentists, Dr. Pamela Ng-Yoo and Dr. Natalia Sanson. I got to know about the clinic because Pam – who I never got used to calling “Dr.” – lived for awhile in Seoul but has since settled in her dental practice here in Iloilo. I was so proud of Second-born when he had his dental check-up. He was a little bit nervous but he eventually warmed up and got comfortable with “Tita Pam”. It’s her amiable way of talking to him that made him relaxed. And who wouldn’t be relaxed in a dental clinic like this? 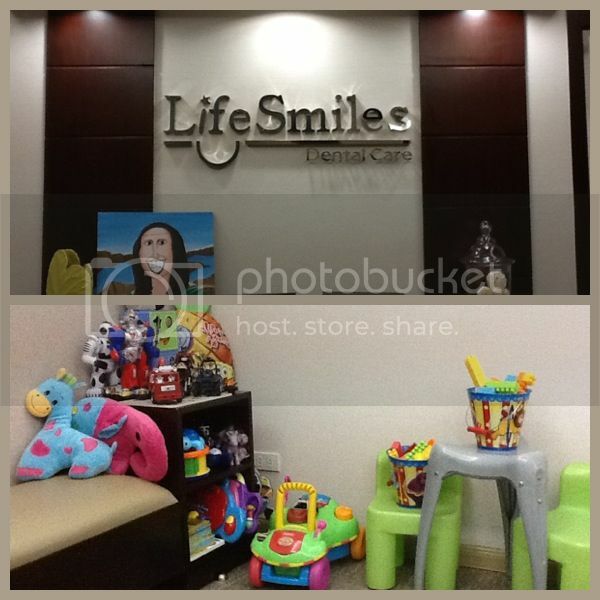 Dr. Pam is not a pedodontist but she’s very good with kids… and the kids end up enjoying their dental visit. And that’s exactly what every Mom wants for their kid’s dental experience to be! Lifesmiles Dental Care is located at Unit 4 Mezzanine Floor, AJL Building, General Luna Street, Iloilo City with telephone number: 033-3963339. Kiddos are definitely going back to the clinic before we leave for Seoul.